Urban Tree Infinity is another residential development by the Urban Tree Developers that is located in Porur, Chennai West. Strategically located, the project offers 1BHK, 2BHK and 3BHK apartments. The residential development has the latest construction techniques and is loaded with amenities that caters to the needs of the buyers. Porur is a fast emerging locality in Chennai West with a number of developments taking place in the residential real estate segment. The locality is known for its chemical industries and manufacturing plants. Today the area is coming up as an IT Hub that houses a number of IT companies such as Barclays, IBM, Dell and others within a radial distance of 5kms. Porur is also witnessing rapid developments in terms of infrastructure. From hospitals, schools, banks, day to day convenience stores to shopping arcades, the locality has an established social fabric. The locality has IT SEZ?s upcoming and is expected to host around a million employees. The residential demands in the city is sure to go up. Chennai, the capital city of Tamil Nadu has become one of the most sought after real estate destinations with huge FDI development. It is one of the top real estate destinations in the world. With a number of infrastructure projects and developments taking place, the city is witnessing positive trends in the real estate market creating demands from buyers as well as investors. What is the location of Urban Tree Infinity?The location of the project is Porur, Chennai West. What is available flat size in Urban Tree Infinity? Flat sizes in the project range from 667.0 sqft to 1616.0 sqft. How much is area of 1bhk in Urban Tree Infinity? The area of 1BHK units in the project varies from 667.0 sqft to 668.0 sqft. What is total area of 2 bhk in Urban Tree Infinity? 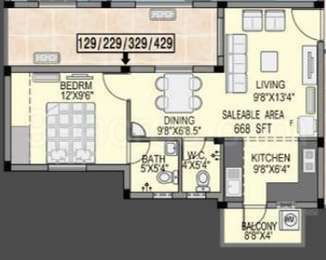 The area of 2BHK units in the project varies from 923.0 sqft to 1349.0 sqft. What is total area of 3 bhk in Urban Tree Infinity? 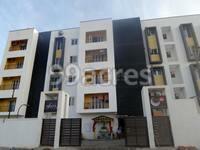 3 BHK units in the project are available in a size of 1050.0 sqft to 1616.0 sqft. What is total size of Urban Tree Infinity?The project is built over an area of 2.45 Acres. Not just another real estate development company, Urban Tree Infrastructures is the epitome of innovation and success in realty space. The Chennai based construction company strives to set a new benchmark with each of its construction. Latest technologies, ethical business values and uncompromising attitude towards quality are helping Urban Tree builders outperform other realty players and it is these core values that have earned them an instant approval of end buyers as well as investors. sion of serving each common Indian with the best-in-class living space and lifestyle. However, it is their customer friendly business policies which sets them apart from their peers. A ?100 percent money back guarantee? in lieu of any defect, if found in the legal title of project and zero hidden costs are two of the fair business practices which have made Urban Tree a perennial favorite of the home buyers. Hi, How is Infinity, Chennai project? Do they have any other project also in the market? Is there any available units here ? I am planning to invest in this area. Update me. Hi all, I just visited the site Infinity & also saw the approval in place.. It seems they received just 3 weeks back. The plan is great. Good Breathing space & Lively Homes. I am almost finalizing it. My parents also visited & liked it.